The centerpiece of any modern endodontic office should be the dental(surgical) operating microscope. This technology has been available for sometime, and its utilization has steadily increased over the years. Without clear and consistent visualization of the internal anatomy of tooth root, it is impossible to properly identify and clean the root canals. At South Mississippi Endodontics we utilize the microscope during all procedures on all patients. The picture to the right illustrates the improved visibility the microscope provides. This recently coined term refers to a concept of providing endodontic therapy while maintaining the maximal amount of tooth structure. 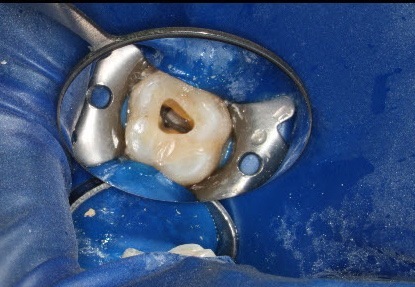 Traditionally, dentists and endodontists were trained to open the roof of the tooth chamber to provide "straight line access" to all canals - which can significantly weaken the tooth. This was necessary prior to the advent of the modern endodontic armamentarium. The improved visualization and ergonomics provided by the microscope and the flexibility of today's rotary endodontic files allows us complete ideal endodontic therapy while minimizing the amount to coronal tooth structure removal. This minimalist idea can be extended to the root canals themselves. 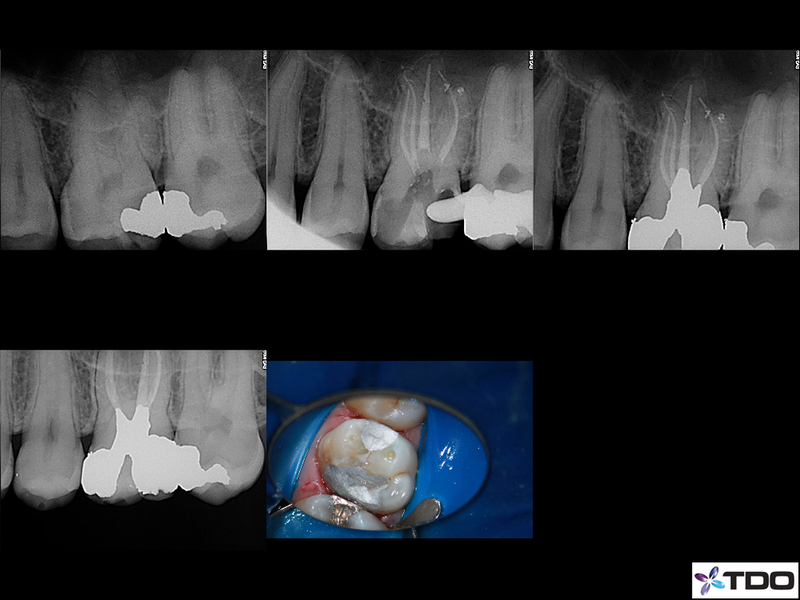 Most recent endodontic literature has been geared toward a "bigger is better" idea of cleaning and shaping. While there is little doubt that this methodology will lead to a "cleaner" canal, what is less clear is whether this "increased cleanliness" improves the long-term success. Interesting, endodontic success rates have not risen significantly in recent years. This would at least raise the possibility that "bigger/cleaner" may not matter in the way that we have been trained. Our goal is simply to treat the patient's symptoms/disease while respecting the dentin (especially the pericervical dentin). 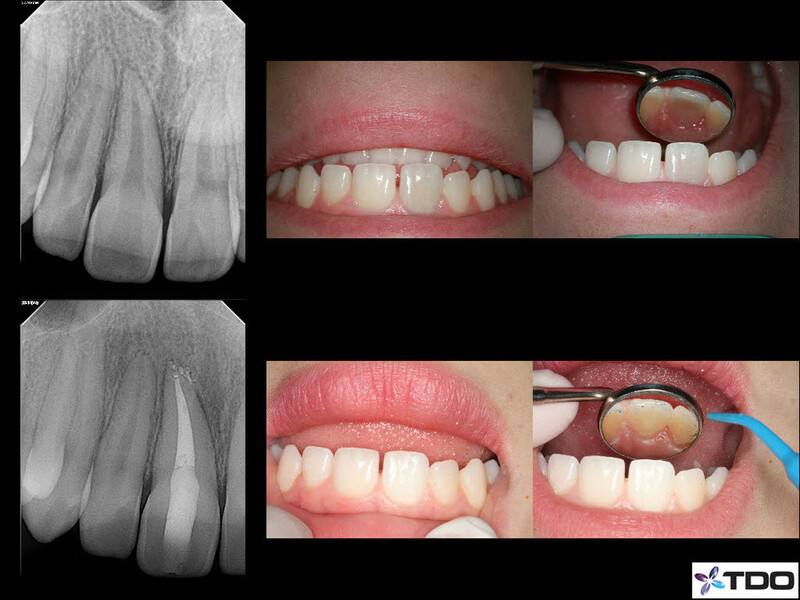 This method does not create "the look" of the dramatically tapered root canal preparations that are seen in most of today's endodontic marketing material; however, it should lead to improved long-term success and tooth retention. The cases below illustrate how this concept has been implemented into our practice. Historically, we have had to rely exclusively on 2-D radiographs to evaluate patients. While this has been and continues to be adequate in most cases the Cone Beam Computed Tomography gives us the ability to literally evaluate the teeth and surrounding tissue in 3 dimensions. This is invaluable, especially when treating the difficult cases seen in a specialist's office. These high resolution images can be obtained quickly in our office and are achievable with very low radiation to the patient. 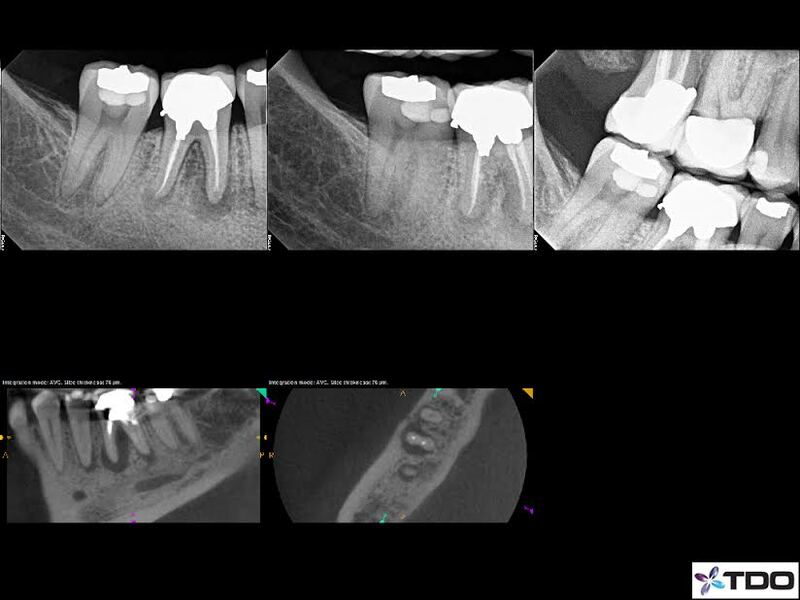 We primarily utilize this technology to investigate canal location, understand root morphology, identify periapical changes not visible on traditional radiographs, and to plan for surgery. 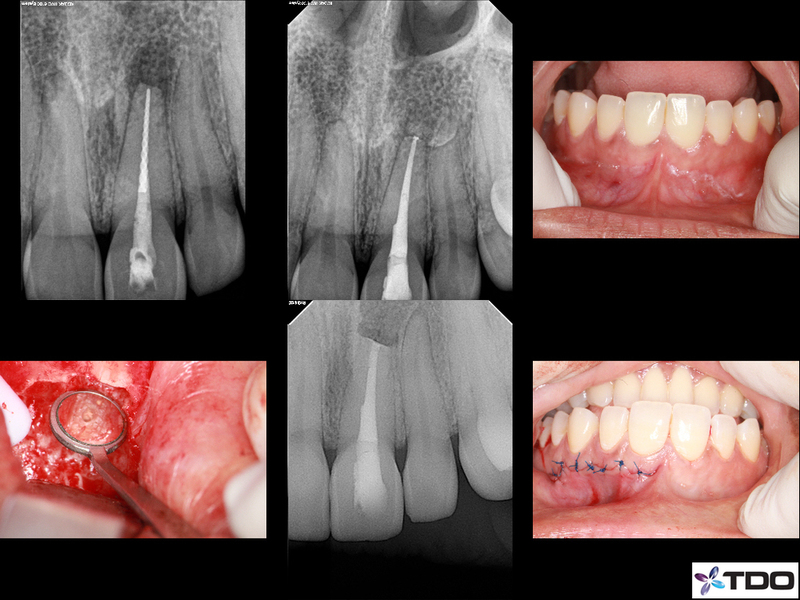 If at all possible, we try to place the coronal restoration on all teeth on which we perform root canal therapy. This ensures that there is no contamination of the obturated canals prior to the patient's returning to your office, as the final restoration is placed under rubber damn isolation. Having just completed the case, we have intimate working knowledge of the root anatomy and can place the most appropriate restoration. We strive to maintain clear and open communication with all dentists with whom we work. 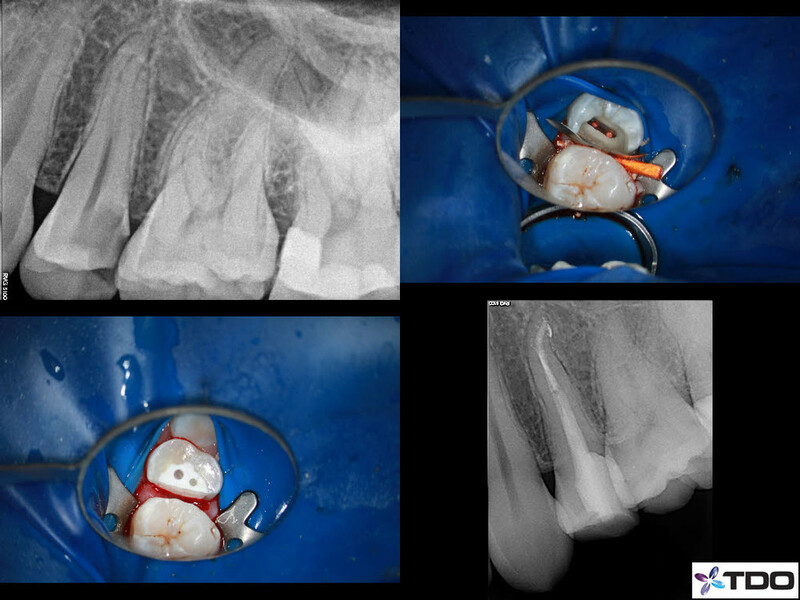 We document all cases thoroughly with digital radiographs, photographs, and a detailed explanation of the procedure. A detailed report will be sent to your office after every case has been completed, via mail or email. You may view the details of your patient's treatment with our office at any time by utilizing our interactive web interface.